If you still haven’t decided what to do with the Daddy in your life this Father’s Day, here’s some great ideas that you can have fun with right here in Woodbridge, Manassas, or anywhere in Prince William County! Great Country Farms will host a Saturday Putt Putt contest and a Sunday Fishing Contest. Click on the link above for details on hours, pricing, and other activities. Great Country Farms is a fun, outdoor venue with lots of family-friendly activities! 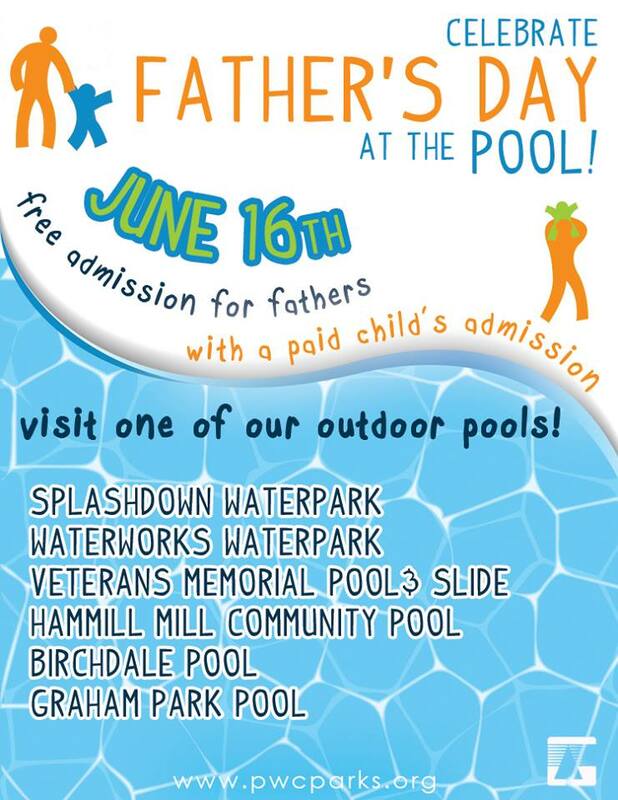 At all of the Prince William County Parks and Recreation Outdoor Pools, including Splashdown Waterpark and Waterworks Waterpark, Dads swim free with a paying child. Make sure to bring some sunscreen, and enjoy a day cooling off with your favorite dad! With a buffet-style offering of pizza, salad, pasta, and desserts, CiCis is a great place to go with kids. 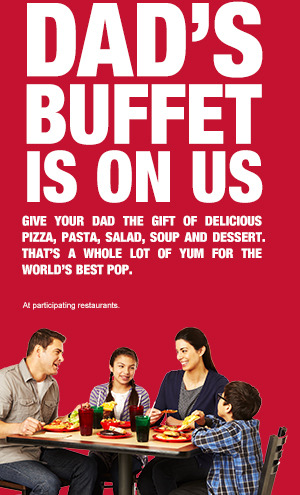 This father’s day, they’re also offering a special (you can get your own copy of the coupon by signing up for CiCis Pizza Perks) free buffet for dads with the purchase of a buffet and drink. 4. Really Want to Cool Off? Put Dad on Ice! 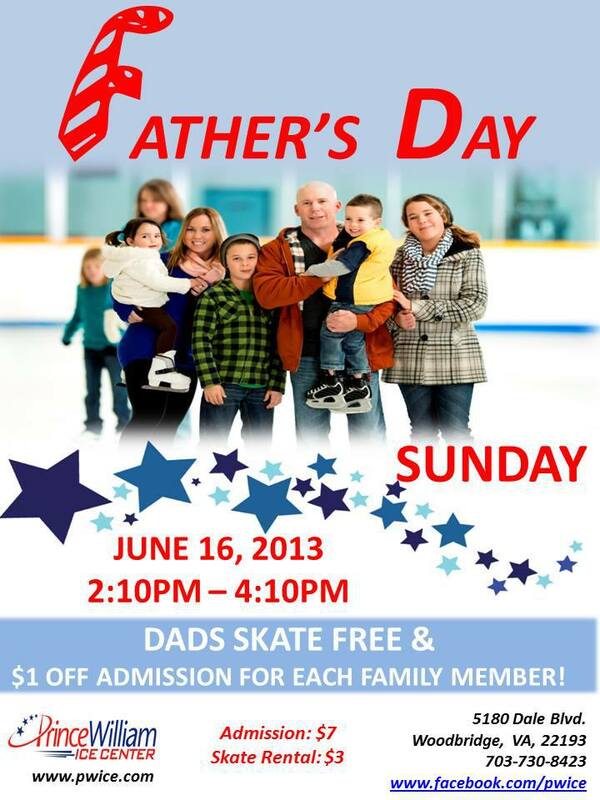 Prince William Ice Center will be offering a Dads Skate Free, with an additional dollar off for each family member on their Sunday June 16th session from 2:10-4:10pm. Skate rentals are available, as is a snack bar and vending machines. 5. Enter Quickly! Real Housewives is giving away a round of golf but the contest ends tonight! 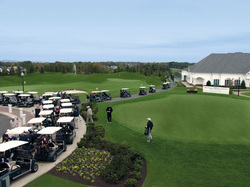 It’s at Heritage Hunt in Prince William County, so it’s local golf! Cafe. Limit one per family. Value $1.98. Firehouse Subs has an offer on their Facebook page for a coupon that will get you a free medium sub with the purchase of a combo on June 16th. Just show them the offer on your smartphone, or print it out if you don’t have one. 8. Still need a present? Head to Michaels for their Kids Store Events and make a Duct Tape Picture frame for dad to display at work! Saturday, 6/15, 10am-12pm on the half hour. $2 supply fee may apply. 9. Is Dad a History Buff? complimentary tour of the site. If you dad enjoys military history, a history of tools, or anything else “manly” treat Dad to a visit of a historic site. Everyone will enjoy the visit!